AKIPRESS.COM - South Korea has approved a plan to pay the cost of hosting North Korea's delegation to the Winter Olympics. The 2.86bn Korean won ($2.64m, £1.9m) will come from the South's unification ministry budget. 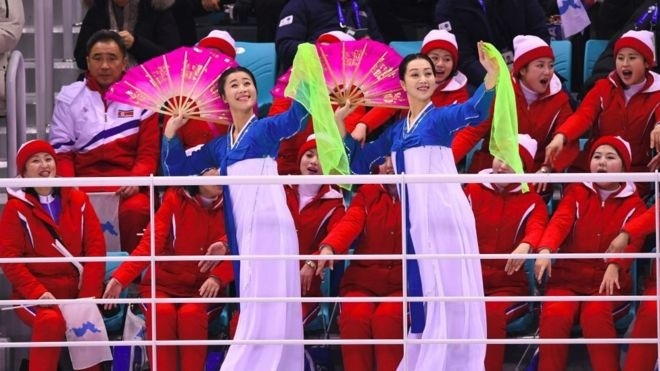 A group of more than 400 North Korean supporters and performers have travelled to Pyeongchang, South Korea for the Games. Their visit was controversial with some South Koreans who questioned the North's commitment to reconciliation. North Korea's attendance at the Winter Olympics came as a surprise development after a year of increasing tensions between Pyongyang and the international community over its nuclear ambitions and repeated missile tests, BBC reported.